Just recently, Gucci unveiled their brand-new collection of luxury handbags at Paris Fashion Week. Sustainable and stylish, the bags created for Green Carpet Challenge Handbag utilize leather sourced from western Brazilian ranches. One could so easily spot the legendary Gucci signature styling on each of the handbags. 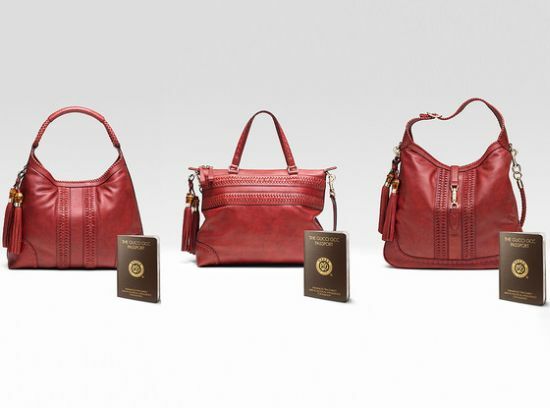 A cherry red shade, woven details and a lot of compassion towards nature – in compliance with their collaboration with Rainforest Alliance Certified ranches – makes these handbags perfect for anyone. The ranches, from where leather is sourced, have been making tremendous efforts toward protecting wildlife, their habitats, curbing deforestation and promoting ranch workers’ rights. Eco conscious customers who can’t resist the temptation of buying one of these handbags may pick their choose at select Gucci flagship stores worldwide as well as online in the U.S. and Europe via Gucci.com.